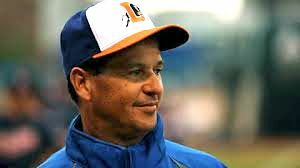 Having already clinched the International League South Division title, Durham skipper Charlie Montoyo can now also lay claim to the IL Manager of the Year Award. His Bulls own the best record in Triple-A Baseball at 83-53 (.610). 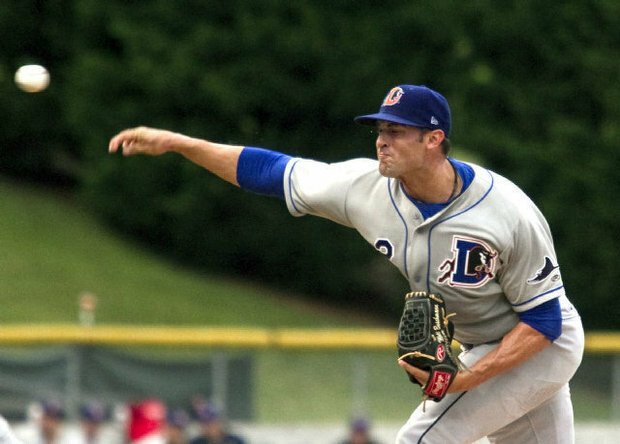 Durham’s division title is the sixth in seven seasons under Montoyo, who joined the Bulls in 2007 after piloting Tampa Bay’s Double-A Montgomery club for three years. Montoyo led Durham to the 2009 Governors’ Cup and Triple-A National Championship, one season before becoming the first-ever Bulls IL Manager of the Year in 2010. This year’s club is possibly his most balanced yet, comfortably leading the International League in both runs scored (664) as well as team ERA (3.31). Despite having several players promoted to the Rays during the course of the season, including top prospects Wil Myers and Chris Archer, the Bulls have rolled right along. No IL team has more wins since July 1 than Durham’s 32. The 48-year-old Montoyo is a former infielder who spent ten seasons in the Milwaukee, Montreal, and Philadelphia organizations. This is his 17th year as a Minor League manager, having all come within the Tampa Bay farm system. He was honored by Minor League Baseball in 2009 with the Mike Coolbaugh Award for displaying outstanding baseball work ethic, knowledge of the game, and skill in mentoring young players on the field. Over a week removed from having established a new Durham franchise record for Triple-A victories in a single season, J.D. Martin has been named the International League’s Most Valuable Pitcher for 2013. The 30-year-old right-hander is the League-leader with 15 wins and a ratio of 1.48 walks per 9 IP. Martin’s last loss, one of just four this year, came on June 21 at Buffalo. Shortly thereafter he was elected to the International League All-Star Team, throwing a scoreless inning for the IL in Reno. Martin has been remarkably consistent all season, posting an ERA of 2.85 at home and 2.84 on the road. He is also the League’s Postseason All-Star starting pitcher. Martin is a veteran of 34 starts in the big leagues, all coming with the Nationals between 2009 and 2010. After spending last season in the Miami organization, he signed with the Rays as a free agent in January. Martin is the second IL Most Valuable Pitcher from the Durham Bulls, joining Jeremy Hellickson (2010) on the exclusive list. The 25-year-old Belnome received votes as a first baseman, second baseman, third baseman, and designated hitter after seeing significant time at each position this season. Also a mid-season All-Star, he is currently 2nd in the IL in both on-base percentage (.604) and runs scored (73), and he’s 7th in batting average (.298). 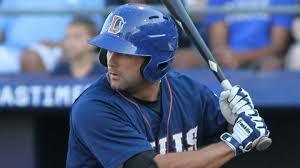 The last Postseason All-Star utility player from Durham was Elliot Johnson in 2010. Leslie Anderson has been selected as the team’s MVP for the second straight season. 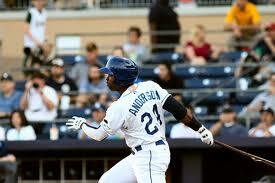 Anderson is having yet another stellar year for the Bulls, as he currently leads the team in home runs (14) and RBI (72). The veteran has tied his career best in homers and has already set new personal season-highs in RBI, OBP (.376), and SLG (.466). The Camaguey, Cuba native is in his fourth season with Durham. Starter J.D. 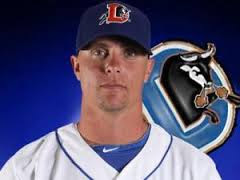 Martin and closer Kirby Yates were both named mid-season International League All-Stars and will share the honor as the Bulls’ most outstanding hurler. Martin’s phenomenal 2013 campaign includes two IL Player of the Week awards, a Topps/IL Player of the Month nod, and Durham’s new Triple-A single-season record with 15 wins. Not to be outdone, Yates boasts a miniscule 1.69 ERA to go along with 18 saves in his rookie Triple-A season. Opponents are hitting just .167 against the native Hawaiian (3rd lowest in IL) and his 13.3 strikeouts per 9 innings pitched are second best in the league. Duncan, added to the Bulls roster on May 6 after beginning the season with Tampa Bay, is one of the club’s veteran leaders and his positive presence in the clubhouse has been palpable all year long even after he spent time on the bereavement list in June. He is the only Bulls player on the current roster to have played in a Triple-A National Championship Game (2008 with Scranton/Wilkes-Barre). Buschmann has been extremely active in Bulls’ charitable appearances since being called up from Double-A Montgomery in late May. He has participated in meet and greets with local Boys & Girls Clubs, promoting healthy and active lifestyles, and also the Drug-Free Junior Bulls Kids Club. IL Award quotes from here, Goodmon Award quotes from here.